Czech Republic has no sea; its neighbour countries are Germany, Austria, Slovakia and Poland. Its history dates from the 9th century AD, for a long time it was one of the most powerful countries in Central Europe. Later on it was the biggest, most populated and richest country of the First Reich, where many Emperors started their career. Under the conditions of the Treaty of Vienna 1515 parts of the Czech Republic, then in the Kingdoms of Bohemia and Hungary came under Habsburg rule after the death of Louis the Jagiellon in 1526. They stayed a part of the Habsburg dynasty rule until 1918. 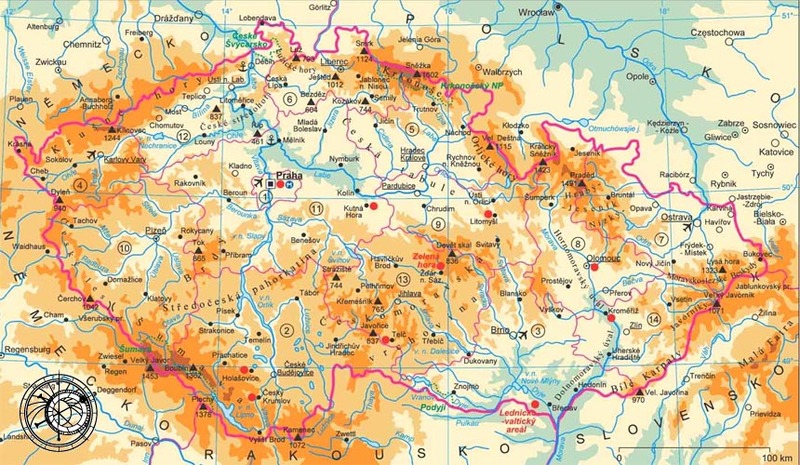 The area of the today's Czech Republic was a part of Czechoslovakia from 1918 to 1992. Czechoslovakia became independent in 1918 from Austro-Hungarian Empire. The first Czechoslovakian president was Tomáš Garrigue Masaryk. Czechoslovakia peacefully split into two countries (Czech Republic and Slovakia) in 1993. Czech Republic has been a member of the European Union since May 1, 2004 and a member of NATO since March 12, 1999. The official currency in the Czech Republic is the Czech crown (Kč, CZK). 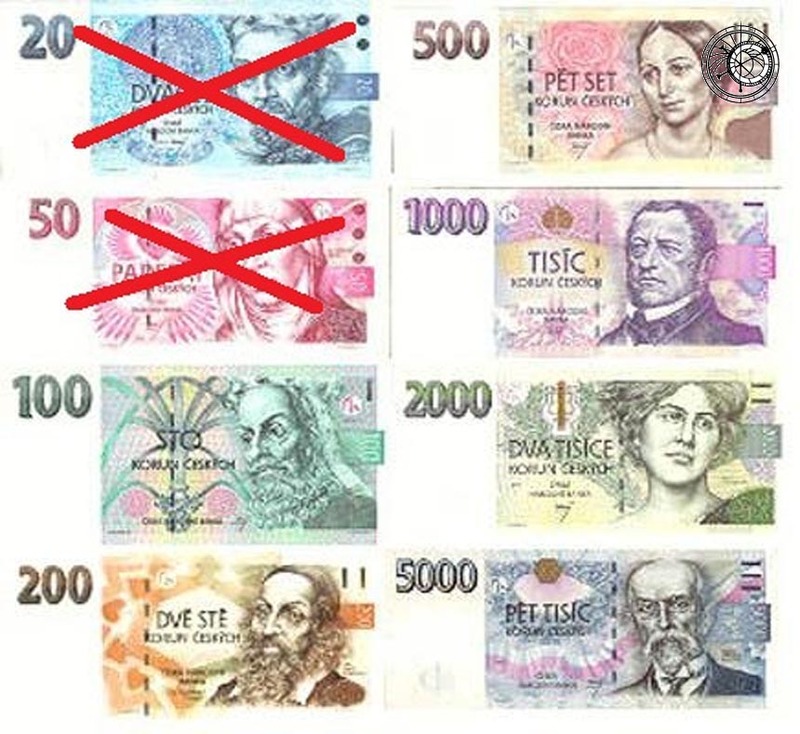 Coins in circulation come in values of CZK 1, 2, 5, 10, 20, 50, bank notes come in values of CZK 50, 100, 200, 500, 1,000, 2,000 and 5,000. Exchange -in some places is possible to pay directly with EUR, mostly is better to change for CZK. Exchange services are of course provided by banks and at most hotel receptions. Never change money on the street! Traveler's checks are also a safe way of transporting funds. If you are a customer of American Express, Thomas Cook or Visa, you will have no problems cashing your traveler's checks at banks. Credit cards - most shops, restaurants or hotels accepts credit cards. (VISA, Mastercard, AMEX). You can travel in Czech Republic by car, by bus or by train. For privately owned vehicles, a toll sticker is required for use of motorways. They are available in 10-day, one month, and one year increments (you can buy vignette by post office or by petrol station). Tickets for train or for bus, is possible to buy them by cash desk on every station. Prague Main railway station - (abbreviated Praha hl.n) is the largest and most important railway station in Prague in the Czech Republic. It was originally opened in 1871 and named Franz Josef Station after Franz Joseph I of Austria. During the First Republic and from 1945 to 1953 the station was called Wilson Station (Czech: 'Wilsonovo nádraží') after former President of the United States, Woodrow Wilson. His statue stood in the park in front of the station before being torn down by German authorities when the U.S. entered the war in 1941.A new statue of Wilson was installed in 2012. 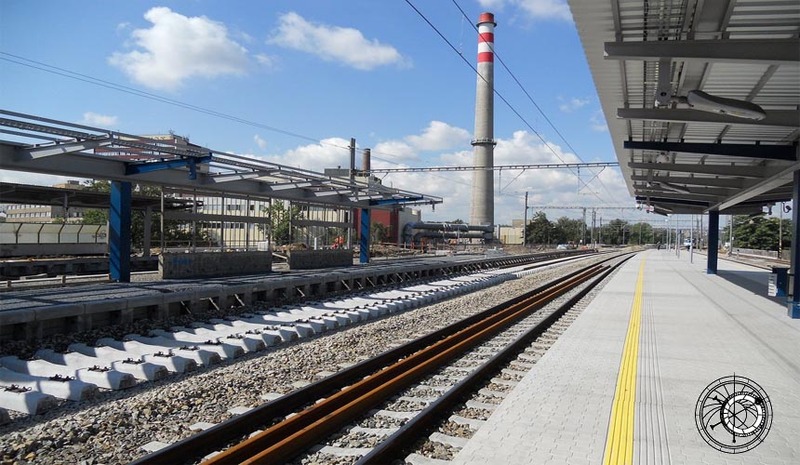 In 2010, the station served 132,560 trains and 22 million passengers.. Right from railway station, there is entry to metro station Hlavní nádraží - line C.
Praha - Holešovice railway station (Czech: Nádraží Praha-Holešovice) is a railway station located in Holešovice, in the north of Prague, Czech Republic. Opened in 1985, it was originally used as a terminus for international fast trains coming from the east. 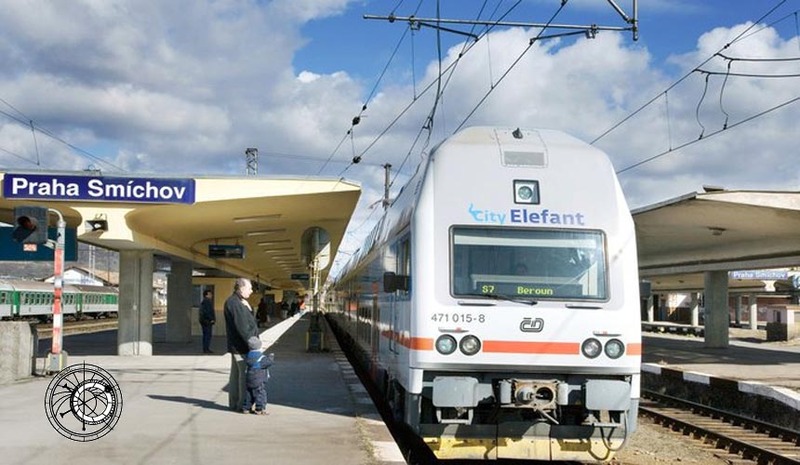 Since the completion of Nové Spojení in 2008, these trains terminate at the more central hub, Praha hlavní nádraží, however, international and interregional trains going north from hlavní nádraží towards Berlin still stop here. The station is connected to the Prague Metro's C line by the metro station of the same name, and also to the Prague tram system by numerous lines. Praha - Smíchov railway station (Czech: Nádraží Praha-Smíchov, is a major railway station in Prague, Czech Republic, located in Smíchov, in the south-west of the city. 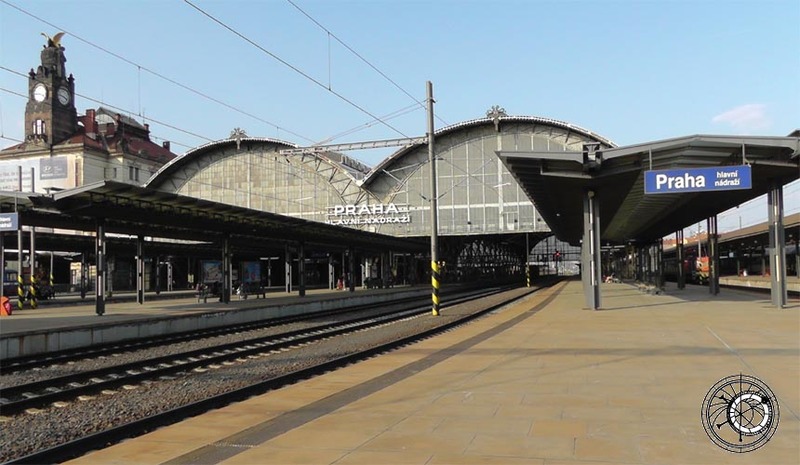 It serves as a major railway station on the Czech national rail network, and is connected to the rest of Prague by its metro station of the same name and numerous tram routes which stop on Nádražní street outside the station. 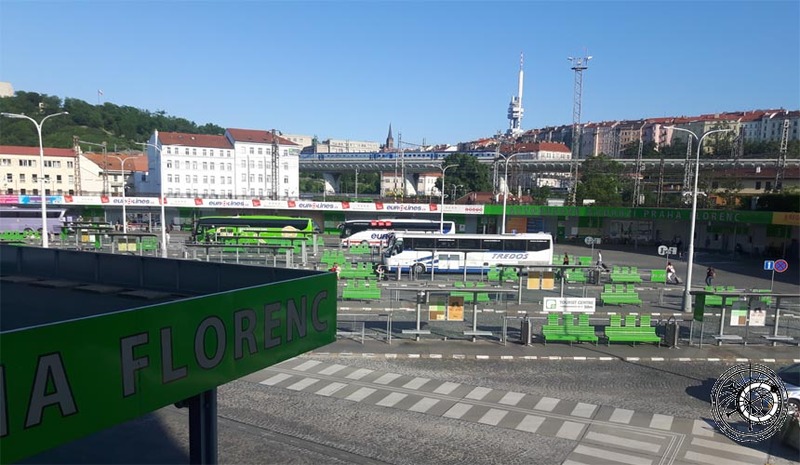 It is also a major bus terminus for lines going to the south and southwest of Prague and beyond. In 2009 the station served almost 4 million people. Bus station Florenc - the biggest bus station in Prague. Near by bus station, there is entry to metro station Florenc - lines B and C.
Václav Havel Airport Prague (Czech: Letiště Václava Havla Praha), formerly Prague Ruzyně International Airport (Czech: Mezinárodní letiště Praha-Ruzyně, is the international airport of Prague, the capital of the Czech Republic. 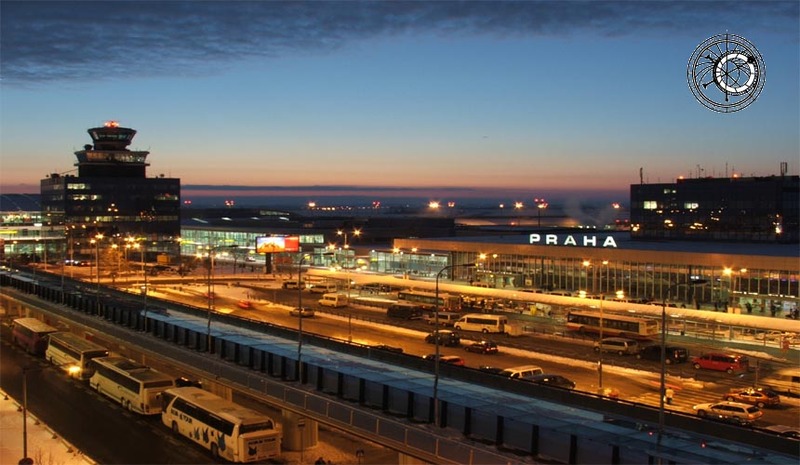 It is located 10 kilometres west of the city centre and is with over 11 million passengers in 2014 the busiest airport in the newer EU member states. It serves as a hub for Czech Airlines as well as a base for Travel Service Airlines including its subsidiary SmartWings, and is also a base for low-cost carrier Wizz Air. Terminal 1 is used for flights outside the Schengen Area; it was opened in 1997, it includes concourses A and B.
Terminal 2 is used for flights within the Schengen area; it was opened on 17 January 2006, it includes concourses C and D.
Terminal 3 is used for private and charter flights; it was opened in 1997. 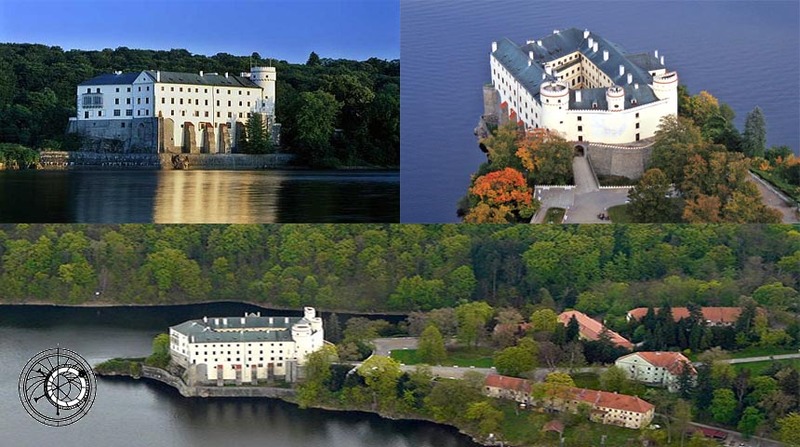 The Czech Republic is not only Prague, but also lots of other interesting places. You can visit them very easily by train, by car or by bus. 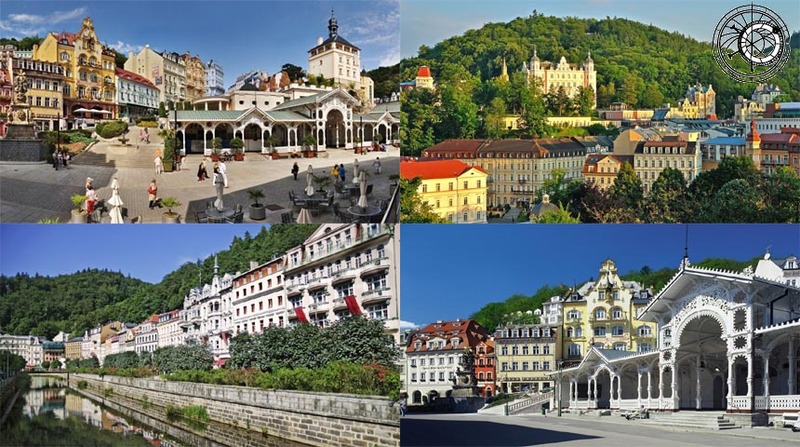 Karlovy Vary or Carlsbad (German: Karlsbad) - is a spa town situated in western Bohemia, Czech Republic, on the confluence of the rivers Ohře and Teplá, approximately 130 km west of Prague . It is named after King of Bohemia and Holy Roman Emperor Charles IV, who founded the city in 1370. It is historically famous for its hot springs (13 main springs, about 300 smaller springs, and the warm-water Teplá River). It is the most visited spa town in the Czech Republic. Český Krumlov - is a small city in the South Bohemian Region of the Czech Republic, best known for the fine architecture and art of the historic old town and Český Krumlov Castle. Old Český Krumlov is a UNESCO World Heritage Site and was given this status along with the historic Prague castle district. 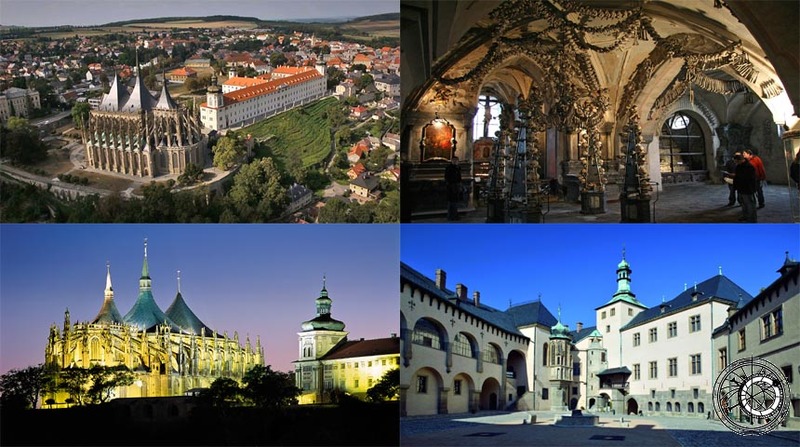 Kutná Hora - the town of Kutná Hora owes its origin to the silver mines which gained importance during the economic boom of the 13th century. The earliest traces of silver have been found dating back to the 10th century. Since 1995 the city center has been a UNESCO World Heritage Site. Plzeň - is a city in western Bohemia in the Czech Republic. 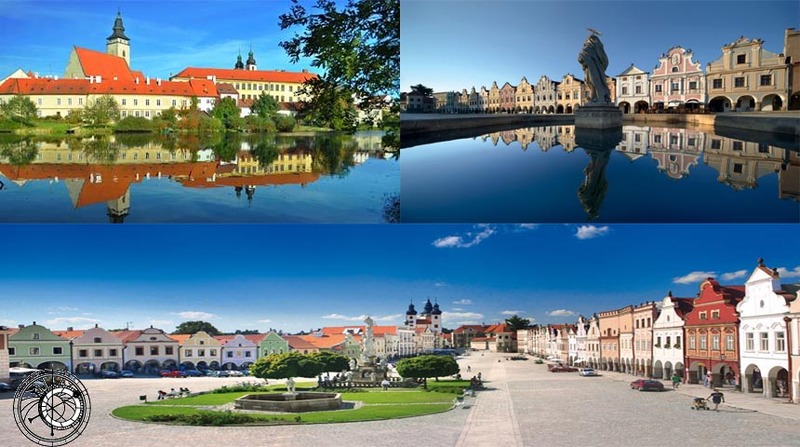 It is the capital of the Plzeň Region and the fourth most populous city in the Czech Republic. It is located about 90 km west of Prague at the confluence of four rivers (Radbuza, Mže, Úhlava, and Úslava) which form the Berounka River. The city is known world wide for the Pilsener beer. České Budějovice - is a city in the Czech Republic. 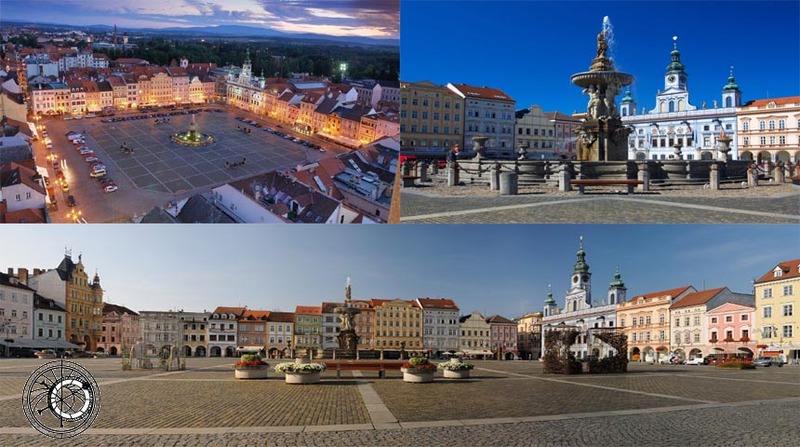 It is the largest city in the South Bohemian Region and is the political and commercial capital of the region and centre of catholic Diocese of České Budějovice. České Budějovice has long been well known for the beer brewed there since the 13th century. For a time the town was the royal brewery for the Holy Roman Emperor, and Budweiser Bier (beer from Budweis) became, along with Pilsener, one of the best-known lagers. Brewing remains a major industry. 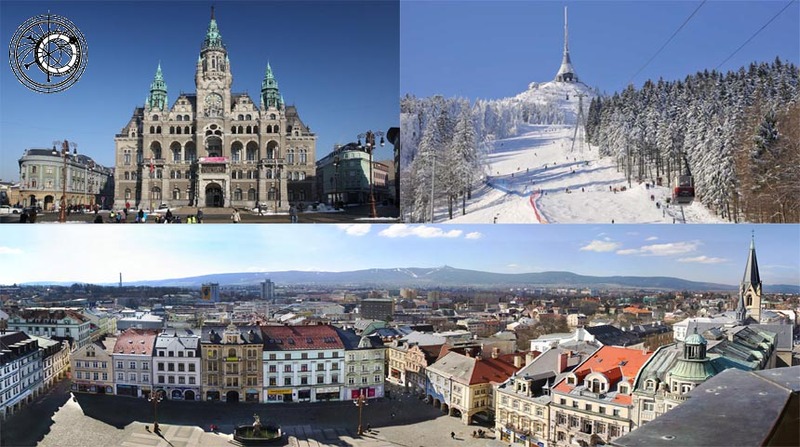 Liberec - is located on the Lusatian Neisse and by the Jizerské Mountains, it is the sixth-largest city in the Czech Republic. Settled by German and Flemish migrants since the 14th century, Liberec was once home to a thriving textile industry and hence nicknamed the Manchester of Bohemia. 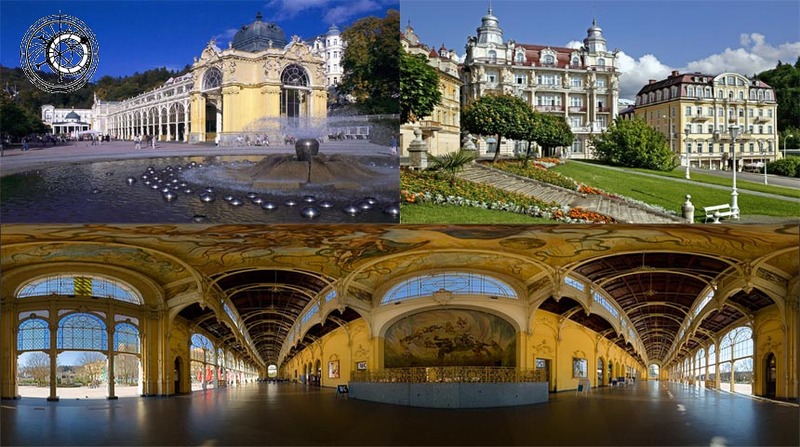 For many Czechs, Liberec is mostly associated with the huge shopping and entertainment complex - the Babylon Centre with famous aquapark. 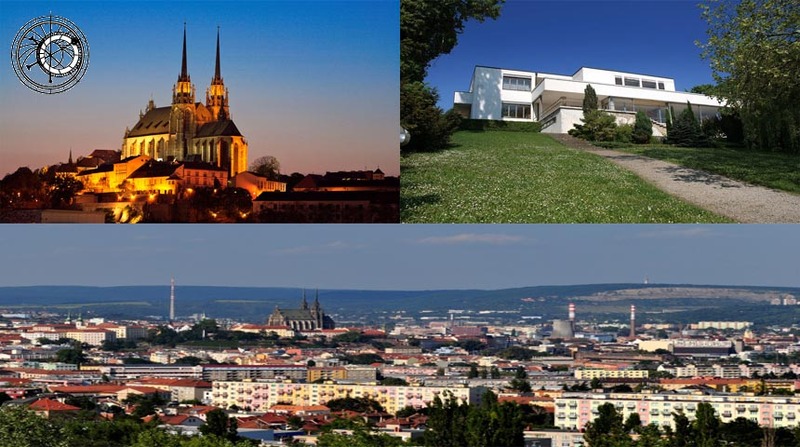 Brno - is the second-largest city in the Czech Republic. It was founded in 1243, although the area had been settled since the 5th century. 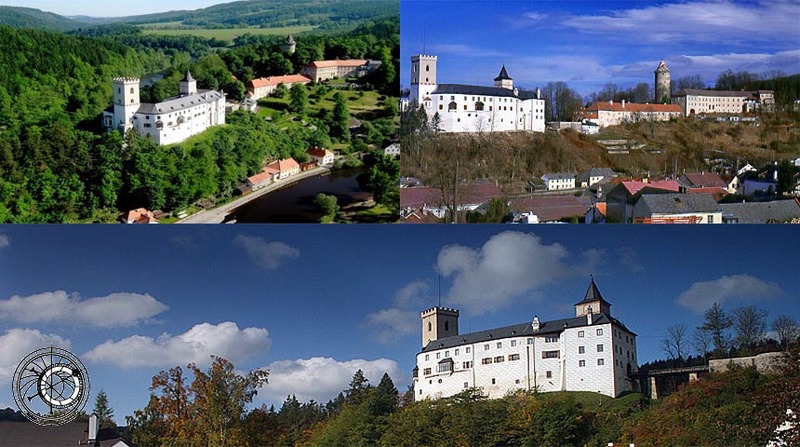 Špilberk Castle (royal castle, from 17th century fortress and the feared prison e.g. Carbonari) is one of the principal monuments, as is the Cathedral of St. Peter and Paul, also known as Petrov. The cathedral was built during the 14th and 15th centuries. Its bells ring noon at 11 a.m., a tradition since the siege by the Swedes in 1645. Villa Tugendhat, a unique example of modern functionalistic architecture, designed by Mies van der Rohe and built in the late 1920s close to the centre of the city, was designated a World Heritage Site by UNESCO in 2002. Olomouc - is a city in Moravia, in the east of the Czech Republic. 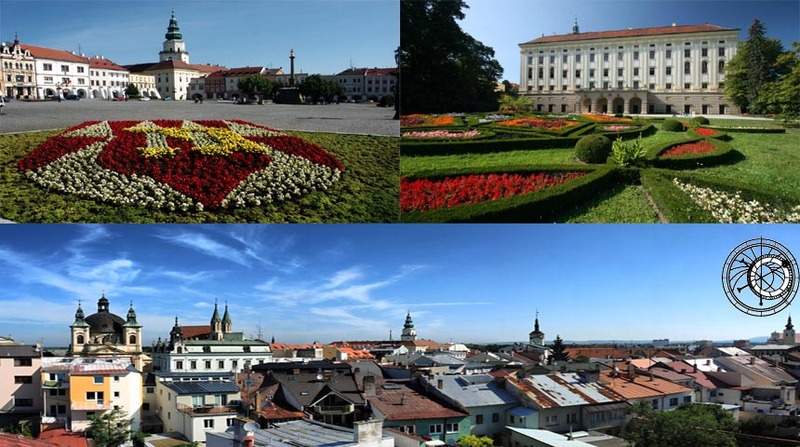 The city is located on the Morava river and is the ecclesiastical metropolis of Moravia. 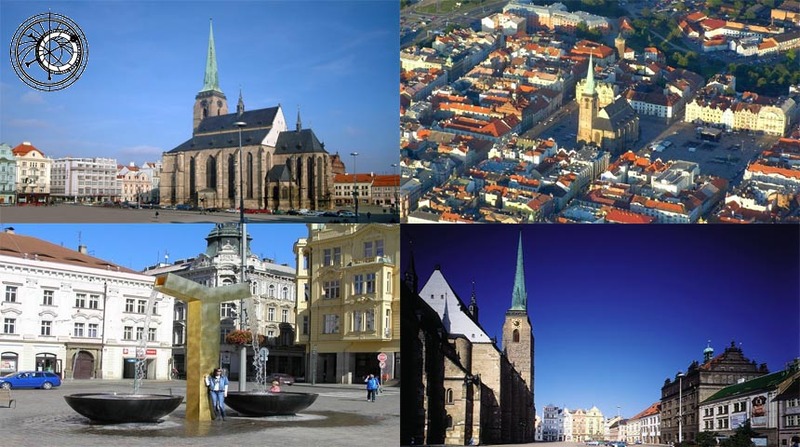 Olomouc contains several large squares, the chief of which is adorned with Holy Trinity Column, a UNESCO World Heritage Site. The most prominent church is the Saint Wenceslas cathedral. Mariánské Lázně - is a spa town in the Carlsbad Region of the Czech Republic. The town, surrounded by green mountains, is an exquisite mosaic of parks and noble houses. Most of its buildings come from the town's Golden Era in the second half of the 19th century, when many celebrities and top European rulers came to enjoy the curative carbon dioxide springs. Kroměříž - is a UNESCO town in the Zlín Region of the Czech Republic. The town's main landmark is the Baroque Kroměříž Bishop's Palace, where some scenes from Amadeus and Immortal Beloved were filmed. The adjacent Lustgarten, or Pleasure Park, is one of the World Heritage Sites. Telč is a town in southern Moravia, near Jihlava, in the Czech Republic. 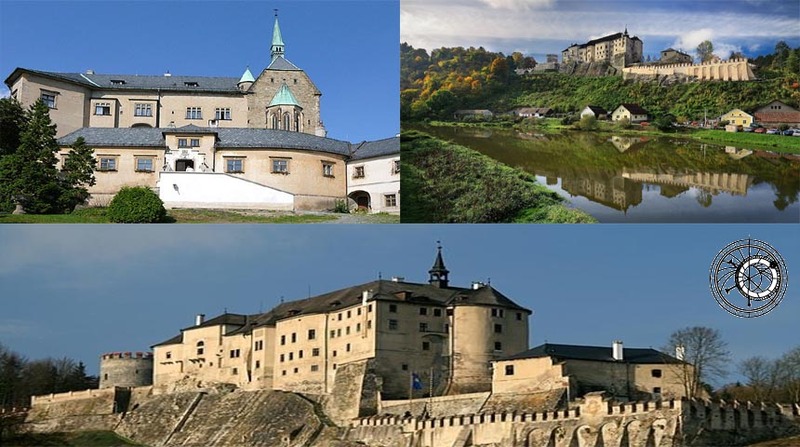 The town was founded in the 13th century as a royal water fort on the crossroads of busy merchant routes between Bohemia, Moravia and Austria. Besides the monumental 17th century Renaissance chateau with an English-style park (a rebuilding of original Gothic castle), the most significant sight is the town square, a unique complex of long urban plaza with well-conserved Renaissance and Baroque houses with high gables and arcades; since 1992 all of this has been a UNESCO World Heritage Site. Karlštejn - is a large Gothic castle founded in the 14th century by Charles IV. 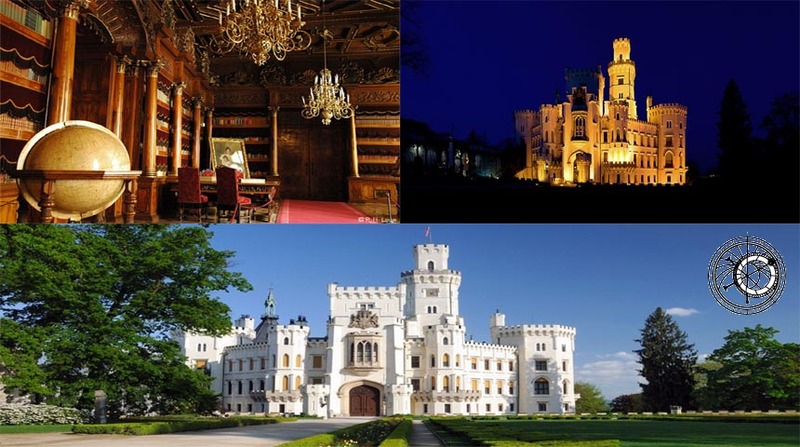 The castle served as a place for safekeeping the Empire coronation jewels, holy relics and other royal treasures. 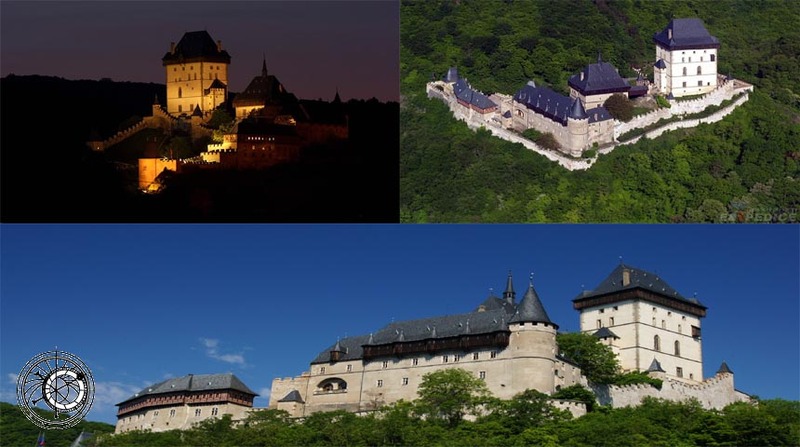 Located about 20 km southwest of Prague in the Karlštejn village, it is one of the most famous and heavily visited castles in the Czech Republic. Konopiště - is a château (castle) located in the Czech Republic, about 50 km southeast of Prague, outside the city of Benešov. It has become famous as the last residence of Archduke Franz Ferdinand of Austria, heir of the Austro-Hungarian throne, whose assassination in Sarajevo triggered World War I. The bullet that killed him, fired by Gavrilo Princip, is now an exhibit at the castle's museum. Hluboká - Hluboká nad Vltavou is a town in the South Bohemian Region of the Czech Republic, near České Budějovice. This town was a favourite of Charles IV, who often visited when residing in České Budějovice. It is best known for its famous Windsor style chateau. The original royal castle of Přemysl Otakar II from the second half of the 13th century was rebuilt at the end of the 16th century by the Lords of Hradec. It received its present appearance under Count Jan Adam of Schwarzenberg. According to the English Windsor example, architects F. Beer and F. Deworetzky built a Romantic Neo-Gothic chateau, surrounded by a large English park. There is a winter garden and riding-hall where the Southern Bohemian gallery exhibitions have been housed since 1956. Rožmberk - is a castle situated in South Bohemia near Rožmberk nad Vltavou in the Czech Republic. It is the oldest seat of the House of Rožmberk, a historical Czech aristocratic family. 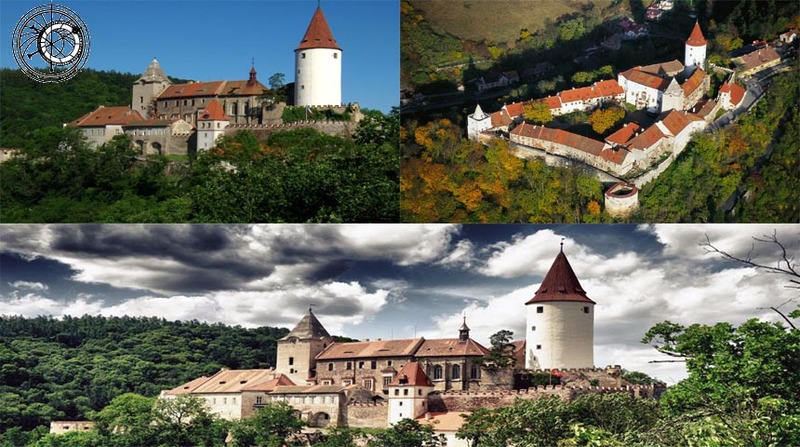 Šternberk - the core is a medieval castle, at the end of the 19th century for possession of the castle was partly rebuilt romantically. Valuable collections of original family furniture museums and rich svezený from other severomoravských locks. 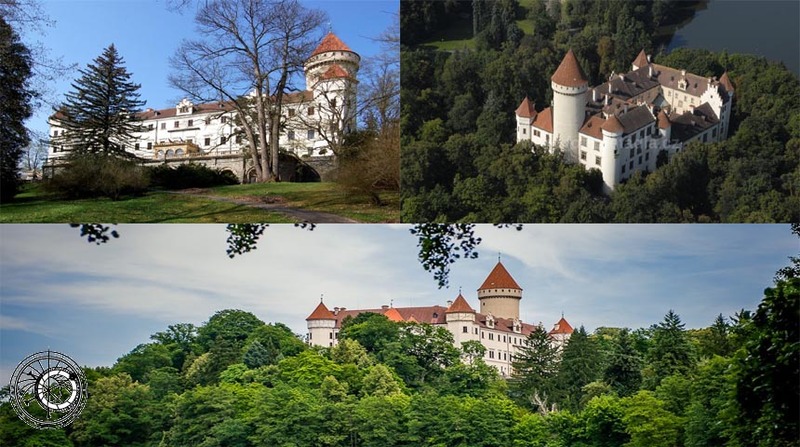 Orlík - this castle is surrounded by a huge castle park and a game preserve. It belongs to the house of Schwarzenberg, but it is normally during the summer open to public (especially visited by Czech and German tourists). The interior castle is documented their influence in politics and the military. 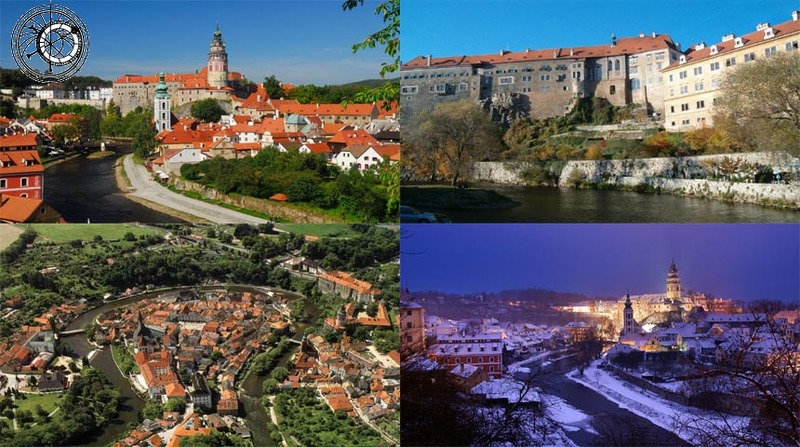 Litomyšl - the dominant feature of Litomyšl is the monumental Renaissance castle dating from the years 1568-1581. 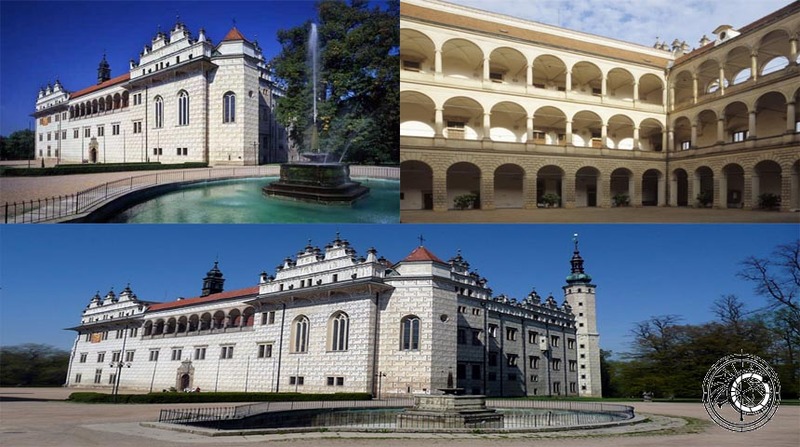 The buildings of the castle precincts are not only exceptional for their architectural refinement, but have also inscribed themselves in history as the birthplace of the Czech composer, Bedřich Smetana. Červená Lhota - is situated about 15 km north-west of Jindřichův Hradec in south Bohemia, Czech Republic. Its picturesque Renaissance building is a destination of thousands of tourists every year. Křivoklát - the castle was founded during 12th century. Between 14th and 15th century, first cottages appeared below the castle and the hamlet got known as Budy. Nearby hamlet Čamrdoves grew up, and during 17th and 18th century they became one village. In 1886 the hamlets Budy, Amalín, Čamrdoves, and Častonice created one single administrative unit, the village of Křivoklát. Pec pod Sněžkou & Sněžka - is a small town at the base of Sněžka Mountain, near Trutnov in the Hradec Králové Region of the Czech Republic. 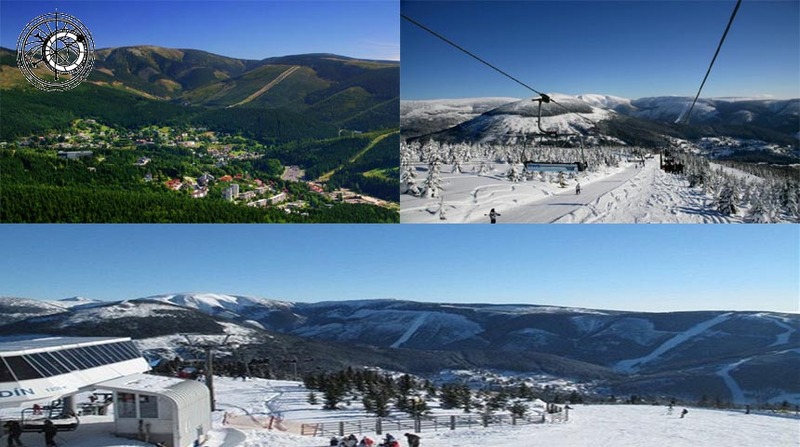 The town is one of the most well-known and most frequented mountain resorts in the Czech Republic. Sněžka is the highest mountain in the Karkonosze/Krkonoše Mountains, part of the Sudetes mountain range, rising to 1,602 metres above sea level. It lies on the Polish-Czech border, and a border stone is placed on the very top of the mountain. Špindlerův mlýn - is a town in the Czech Republic in the Krkonoše. It received its name (which can be literally translated as Špindler's Mill) after a mill belonging to Spindler's family, where neighbours used to meet. The town is one of the most well-known and most frequented mountain resorts in the Czech Republic. Špindlerův Mlýn is one of the most visited ski resorts in the Czech Republic. During the winter season the area hosts the Europacup in freestyle skiing. In the surroundings there are many marked hiking, mountain biking and cross-country skiing trails. Koněpruské caves (Koněpruské jeskyně) - is a cave system in Bohemian Karst, Czech Republic. 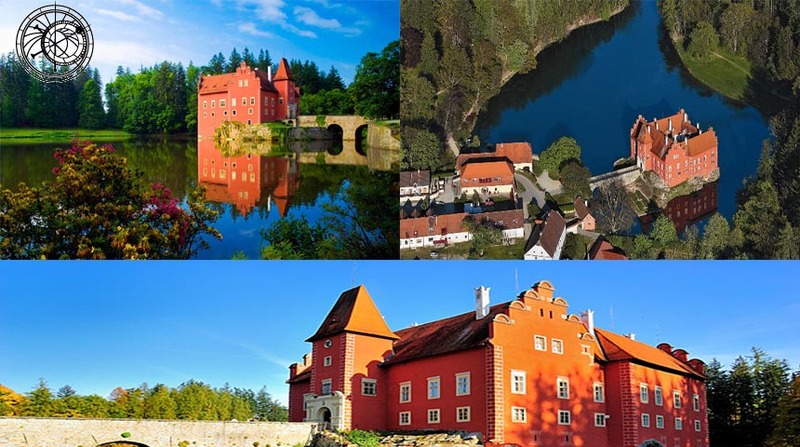 It is located southwest of Prague, 6 km south of Beroun in the Central Bohemian Region. The name derives from nearby village of Koněprusy.The three-level cave system inside the Zlatý kůň hill has developed in limestone of Devonian age. With the length of 2 km and vertical range of 70 m it is the largest cave system in Bohemia, but not in the Czech Republic (there are much larger cave systems in Moravian Karst). 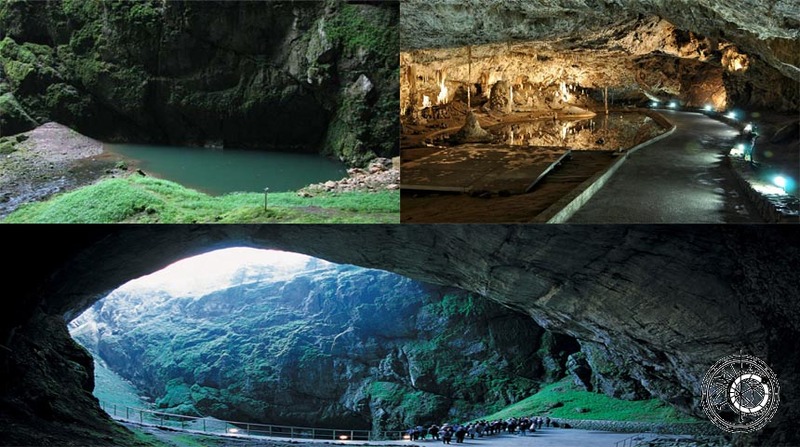 The tour of caves is 620 m long and lasts one hour. Macocha - is a gorge in the Moravian Karst cave system of the Czech Republic located north of the city of Brno, near the town of Blansko. The Punkva River flows through it. 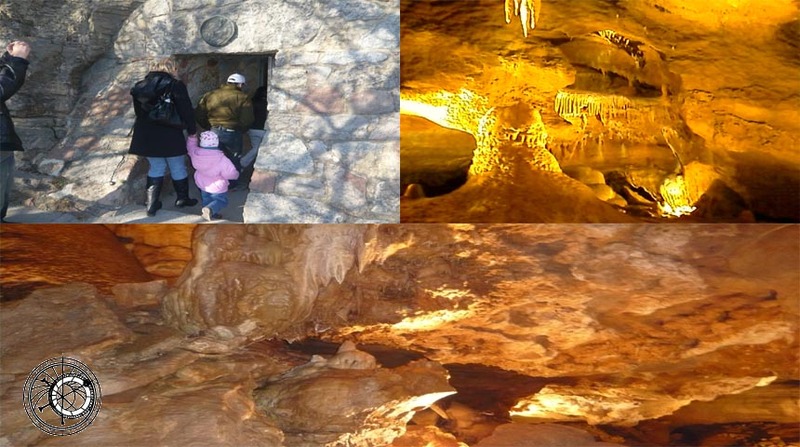 It is a popular tourist attraction for casual visitors to the region, in addition to cavers and advanced technical divers. The gorge is about 138 meters deep and also the deepest of its kind (light hole type) in Central Europe. Terezín - was established at the end of the 18th century as a fortress; still surrounded by its massive ramparts, the town lies at the confluence of the rivers Labe (Elbe) and Ohře (Eger). The Main and Small Fortresses at Terezín, although the modern for their period, gradually became obsolete, and having lost their military function fell into disregard. 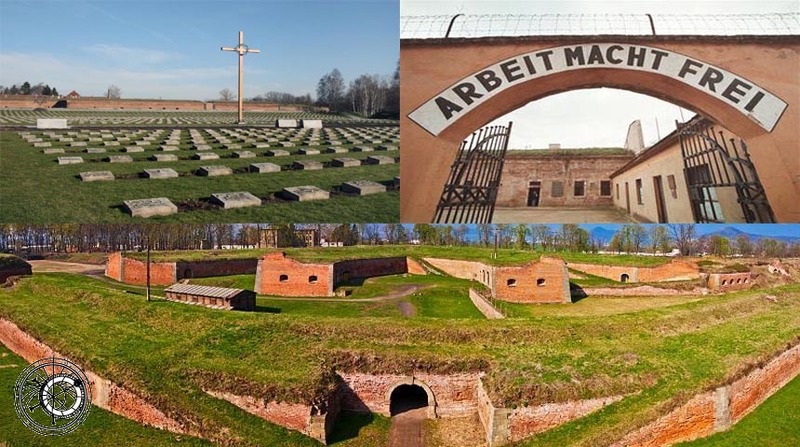 Only in the relatively recent past has Terezín once again entered the worlds public consciousness as a tragic symbol of the sufferings of the tens of thousands of innocent people who died here during the Nazi occupation.